“In Their Hearts there is Unspoken Fear…” Observing the “Enfant Terribles” of Washington D.C. It seems like nearly every day we are treated to a new round of manic midnight tweeting by our President, usually because he has been criticized by someone or has went into a rage over after watching the conspiracy theorists and propagandists who support him. He lashes out like a trapped animal the rage barely concealed by the power of his office. Even his official photograph looks like he is about to scream and rip someone’s head off. 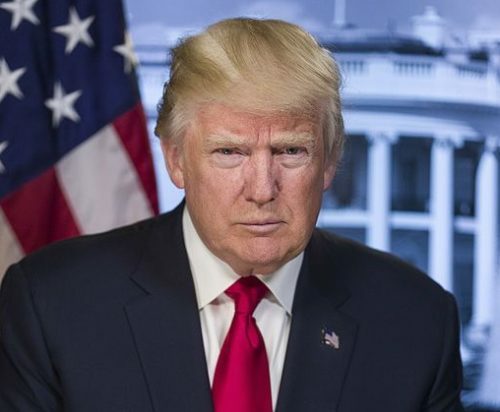 I have seen the official photos or portraits of every American President and while some show some sense of serious strength, none exude the anger that drips from the pixels of his photo. In the past fifty days I have observed that it is criticism of any kind that gets the President most worked up, it is as if his skin is so thin that any criticism will make him bleed. He shows all the signs of being a narcissistic personality, and seems to revel in his role as the enfant terribles of the Western World. His response to criticism is that of the quintessential bully, or the abusive husband or father who cannot be criticized without fear of punishment. He doesn’t seem to fear power or institutions, but he demonstrates a profound fear of words and ideas that he cannot control, thus his constant attempts to shut down debate, discredit democratic institutions, the institutions of government, the press, and even private citizens. Of course there is his unusual penchant for going after very same critics who have no power other than their ideas and the words that they speak. That is what I believe we are seeing from our President and those closest to him. They have power, real power that with the exception of the courts, neither the Congress nor bureaucracy has not seen fit to check. These are not the actions of a leader committed to the democratic ideals of our Republic nor the constraints of the Constitution, law, precedent, and tradition. This is something new, and it is frightening to watch. Steve, as you say, he’s surrounded with “propagandists.” He’s our POTUS for 46 more months. Nothing we really can do about that. But what has got to happen is that sane leaders of institutions, those with teaching and mentoring experience, have got to pinch their noses and buddy up to this guy. He needs outside influence, to see that those closest to him deserve love, loyalty, personal admiration, BUT NOT EXECUTIVE BRANCH POWER. I’m going to pray and think positively, that clandestine action to bring strong American influencers into his little visor of awareness. Trump needs a paradigm shift through replacing those with whom he rubs elbows.